Two of our Third Narrative colleagues, Kenneth Stern and Steven Lubet, have written thoughtfully on this matter, acknowledging both the expression of antisemitism on university campuses and the danger of shutting down free speech regarding Israel and its conflict with the Palestinians. Ken Stern, executive director of the Justus & Karin Rosenberg Foundation, is a founder of TTN’s affiliated Alliance for Academic Freedom; Steve Lubet, a professor of law at Northwestern University, is also active with the AAF.
. . . Antisemitism – like all forms of bigotry – has an impact on some campuses. The worst way to address it is to create a de facto hate speech code, which is what this bill proposes to do. In years past various Title VI cases were brought asserting that a hostile environment was created in substantial part by anti-Israel speech. All of them lost. In 2011 Cary Nelson, then President of the American Association of University Professors and I (on behalf of the American Jewish Committee, where I was employed for nearly 25 years as its antisemitism expert) co-wrote an open letter outlining how the “Working Definition” was being abused in Title VI cases in an attempt to restrict academic freedom and punish political speech. . . . Unlike … where Jewish students were directly bullied, intimidated, and even kicked, these cases complained about educational programs regarding the occupation of the West Bank, films that promoted BDS, classroom texts that proponents thought one-sided and anti-Israel, and a program called “Arabs and the Holocaust,” which claimed the creation of Israel was a “tragedy” for Palestinian Arabs. It was even alleged that it was a Title VI violation to host a campus speaker critical of Israel.
. . . If this bill is passed, its proponents will have the ability to threaten federal funding at colleges and universities where political speech against Israel occurs, and where administrators then don’t try to stop it, or fail to put the university on record calling such speech antisemitic. Think of the precedent this would set. If denying the right of Israel to exist is enshrined as antisemitism by law, would Congress then pass parallel legislation defining opposition to a Palestinian state as anti-Palestinianism? Would it adopt a definition of racism, perhaps including opposition to affirmative action? Would it pass laws defining Islamophobia, antiLGBT animus, anti-immigrant bias, anti-white bias, etc.? And if campus political speech cannot employ “double standards,” as the Department of State definition rejects regarding Israel, does this mean that political speech against China or Russia or the U.S. which doesn’t employ parallels against other countries might someday be legally suspect too? Students should not be harassed and intimidated and threatened. But a campus must be a place where students are challenged by difficult – and yes, disturbing and even hateful – ideas. . . .
. . . [T]he worst remedy is to prohibit speech deemed offensive, disparaging or bigoted that would otherwise be protected by the First Amendment. The proposed Anti-Semitism Awareness Act of 2016 is a speech code for schools and colleges that’s presented as common-sense protection against bigotry. After it was unanimously passed by the Senate recently, the House Judiciary Committee put off consideration until 2017. . . . [I]t should not be considered in any form. The act would require the Department of Education, when deciding whether federal antidiscrimination laws have been violated, to consider the Department of State’s definition of anti-Semitism, which is a version of the “Working Definition of Anti-Semitism” issued in 2005 by the European Monitoring Center on Racism and Xenophobia. I was the lead author of the center’s definition, when I was director on anti-Semitism for the American Jewish Committee. I encouraged the State Department to use it when discussing anti-Semitism with other countries. The definition contains examples related to criticism of Israel, including applying double standards by demanding it behave in ways not expected of other democratic countries, or denying Jews the right of self-determination by claiming that the existence of Israel is a racist endeavor. The definition was intended for data collectors writing reports about anti-Semitism in Europe. It was never supposed to curtail speech on campus. And Jewish students are protected under the law as it now stands. In 2010 the Education Department clarified that Title VI of the Civil Rights Act, which prohibits discrimination based on race, color or national origin in federally funded programs, also protects Jewish students. That means that schools and colleges could lose federal funding when they’re the site of a Title VI violation involving anti-Semitism. . . .
Click here for the entire NY Times article. There is little doubt that many university campuses would benefit from increased awareness of antisemitism. Recent years have seen more expressions of anti-Jewish prejudice – often but not always in the guise of anti-Zionism – than can be ignored. At UCLA, for example, a Jewish student was initially denied an appointment in the student government because she was “active in the Jewish community” and therefore thought incapable of being unbiased. At Stanford, a student senator said that “Jews controlling the media, economy, government and other societal institutions” was a “very valid discussion.” More notoriously, Oberlin’s Prof. Joy Karega was dismissed from the faculty, following the discovery of her endorsement of anti-Jewish conspiracy theories, which included claims that could have been lifted from the Protocols of the Elders of Zion. The phenomenon is not limited to the U.S. At Toronto’s Ryerson University, a walkout of the General Student Union meeting was organized to prevent approval of a Holocaust Awareness resolution (by eliminating the necessary quorum). Critics of Israel have often engaged in intellectual gymnastics in order to justify what would otherwise be seen as blatant prejudice. When Steven Salaita, for example, suggested that Israeli Prime Minister Benjamin Netanyahu of Israel might appear on television wearing a necklace of children’s teeth, the allusion to ritual child murder was simply shrugged off by his defenders. (Salaita also compared “Zios” to scabies, which evidently did not remind his supporters of the days when Jews were called vermin). Joy Karega’s conspiracy theories – including the accusation that Israel was behind the 9/11 attack, the Charlie Hebdo murders, and the downing of the Malaysian Airlines flight – were dismissed as merely “personal beliefs,” apparently worthy of actual consideration, by an otherwise reasonable member of the Oberlin faculty. There is not much, it seems, that cannot be rationalized when it is offered on behalf of anti-Zionism. So yes, there is serious need on many campuses for increased awareness of antisemitism. 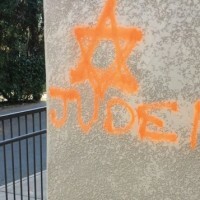 But that does not call for the federal government to take drastic steps, as would be the case if Congress were to pass the proposed Antisemitism Awareness Act, which is scheduled for consideration by the House of Representatives in early 2017 (it has already passed the Senate). The Act would require the Department of Education to determine charges of anti-Jewish bias and discrimination – pursuant to Title VI of the Civil Rights Act – by considering the State Department’s definition of antisemitism, (which is in turn modeled on a definition developed by European Monitoring Center on Racism and Xenophobia). The definition itself quite reasonably recognizes that antisemitism is often expressed in the language of anti-Zionism, including “demonizing Israel,” applying “double standards” to Israel, and “using the symbols and images associated with classic anti-Semitism to characterize Israel or Israelis.” Nonetheless, it would be a grave mistake to write it into federal law.
. . . An inclusive definition of antisemitism is important for public understanding and civic education, especially when it comes to Israel, but it would be a wrong to turn it into a bludgeon. The risk, therefore, is that the State Department definition of antisemitism could be used to cut off campus debate over Israel, . . .
Click here for the entire post.